Online marketing has changed drastically in the last few years. Focusing only on a single aspect of your ecommerce store isn’t going to make your store successful. You need to work on all aspects at once while ensuring that the overall marketing strategy is doable and offers consistent returns. The best thing about the holiday season is that even small businesses can make huge profits if they market themselves creatively and properly. While developing a proper marketing plan for the holiday season is a daunting task, we are here to provide actionable tips and tricks to refine your business goals. 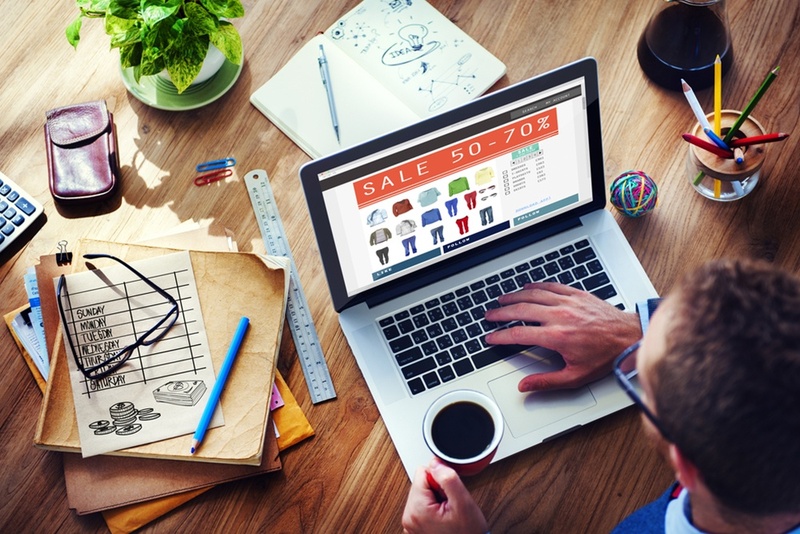 Here is a list of Ecommerce Marketing Tips to ramp up sales during the holiday sprint. Effective planning for the holiday shopping season is only possible if you have the data of previous campaigns available. Analyze last year’s holiday shopping data to see which channels had the most impact. Find out to what products and tactics consumers responded the most. This will give you a fair idea about what to do and what not to do and you can adjust your campaign for this year. The data you have collected will tell you about the Customer Lifetime Value (CLV). In most cases, Apple iPhone users have a higher CLV then Android users. Similarly, engaged shoppers and those who use credit cards for online shopping have a higher tendency to shop online. Measure the CLV of each customer and develop the strategy accordingly. You should start a remarketing campaign one month before the holiday season so that your visitors know about your brand. Then, create a consistent remarketing strategy that moves them through the sales funnel. Once you have the remarketing campaigns up and running, it’s time to focus on their lookalike audiences and also target them with relevant ads. When you have the results of the marketing campaigns available, segment them according to the data that is available. Let your conversion numbers make the decisions. You need to optimize event pages from the very start. For the holiday season, the event pages should be live before October. This is because even if your website is new, Google will have enough time to index and rank your event pages. The event pages are the money pages and will bring the most conversions during holiday season. This is the time to develop high quality content that can move your readers through the sales funnel. Start producing blogs and ebooks on top selling products. Also work on reviews, how-tos etc. Focus on what others are neglecting in their content and work on it till you start ranking. Most ecommerce store owners remain stuck with Facebook and Twitter. But now you have multiple new platforms including YouTube, Instagram, Musically, Snapchat, and many more. Use them to get your estore in front of more people. Leads generated through sweepstakes are soft leads and mostly they have no value. But this doesn’t mean you can’t use them. Get your leads to share your promotions across social media. This will lead to almost free viral marketing right before the holiday season. One of the best ways to generate more leads is by adding exit pop-ups. Offer lucrative discounts or goodies to get your visitors to leave their email addresses with you. Once you have the email list, start marketing the subscribers with good offers. But you need to have a fantastic popup strategy so they don’t leave without providing a lead. Make sure that your prices are clearly shown with discounts. According to a survey, users spend only five seconds on the written content of the website. If the prices, discounts, or coupons are hard to find, they will leave your website instantly. Develop a list of featured products. These will be your goldmines, as more people will search and buy them. Make sure you have a fitting list of top-selling products available. You can also add the trending products as your featured products, because that will make more people interested in buying your products. Here is how you can find trending products. Yes! Your website must be completely ready before the holiday season. This means, no broken links, no CSS errors, and no database problems. Your website must be fully functional and ready for operations before the start of the holiday season — which in this case is around October. Online stores witness a surge of traffic during the holiday season. This traffic spike can shut down servers. The best way to handle this seasonal traffic spike is by increasing the bandwidth of the store. If your website is on a managed ecommerce web hosting provider then you can easily increase the bandwidth, or if using an ecommerce platform, like 3dcart, that offers unlimited bandwidth then you don't have anything to worry about. And, if it isn’t then make the switch before the holiday season. US companies lose over $62 billion because of lack of customer service. And for small ecommerce stores, the situation can be even more worrisome because their whole bread and butter depends on their service. We advise you to stay responsive at all times on all platforms where you are promoting the estore. These can be social media channels, blogs, social bookmarking sites, or guest posting sites etc. The biggest mistake you can make is not to bring additional temporary staff on board. During the sales spike, you won’t be able to work all the logistics and shipping yourself. We know about it because we have interviewed many who showed this regret. It’s better to get more people onboard so you have a steady logistics process. If you are not sure whether you can entrust temporary employees with your work, then go for FBA or 3PL. If you are going with FBA, you will only be able to sell via the Amazon shipping only, but at the same time you will have a whole new audience who will be ordering your products consistently as they will show up on Amazon. If you are going with third party logistics (3PL) you will have flexibility in shipping but there will be no new audience. The choice is yours to make. Make sure to cross sell offers to customers who have bought from your estore during the holiday season in the past. You can email them about the products that will be a best match with the products that they have bought. For those customers who have abandoned their cart, make sure to remind them that their products are still waiting for them. Make a proper funnel to acquire back customers who have left the cart. You can offer them discounts, entice them with cross selling products, or simply ask them for a feedback about their experience. During the holiday season, email marketing will be your power punch. Make sure to promote your estore through relevant offers through email. It is better to send personalized emails to each user. You can do so by making segments and then promoting relevant offers to each. These are some of the most relevant ecommerce marketing tactics to help you get higher sales during this holiday season. In the end, just remember that clever marketing is not innate. It is an art and can be learned by being practical and using experimentation during the whole holiday season. We hope these marketing tips will help you in increasing revenues and getting consistent sales. Is there an ecommerce holiday tip that we have missed out on? Sign off with your suggestions in the comments section below.